Exceptional photograph frame in the style of Fontana Arte. Chiselled glass on a brass frame. 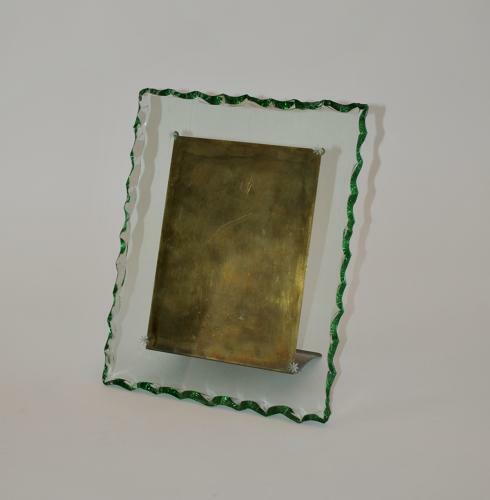 The photo frame measures 30 cm high, though if you measure the length of the chiselled glass it is 35 cm.